After emotional day yesterday morning, there is a good news this morning especially for all Nokia Lumia 620 user in Indonesia. Finally, Nokia Lumia 620 Indonesia is now able to have Nokia Lumia Amber update start from this morning. 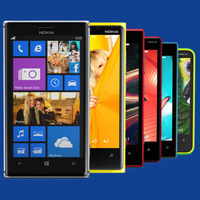 The Update will be downloadable via Over The Air Update (OTA) with Wi-Fi connectivity directly from your Nokia Lumia 620. Almost all the Lumia Amber features will be available for Nokia Lumia 620 except FM Radio and "Tap to Unlock" feature. For Nokia Lumia 720 and Nokia Lumia 520, The Lumia Amber Update is on the way. The roll out process will finish this end of September.